Which theme park can be found in Orlando? Walt Disney World | Cafe Arjun - 15 times WordPress Top Blog! Which theme part can be found in Orlando? This is one of the easiest to find answers, unlike ones about Honk Kong and Moscow, which were a bit tricky. Walt Disney World - Most visited resort in the world - In Orlando, Florida. Most visited collection of theme parks and water parks in the world. Largest recreational resort in the world. 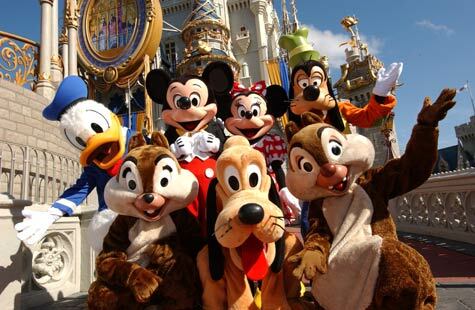 Technically speaking, Walt Disney World is not a theme park, it is a resort that contains 4 theme parks, 2 water parks, 23 hotels, various shopping places, restaurants and entertainment venues. It’s located in South west Orlando. Related Searches: Which theme park can be found in Orlando, Orlando theme park, Orlando theme parks, Walt Disney world, Disney World, Walt Disney World resorts Orlando, Walt Disney world Orlando Florida, Disney World Orlando Florida.